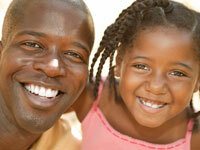 Did you know that trusted Spokane area TMJ/TMD dentist Richard Witter, D.D.S. offers treatment for jaw pain relief? If you're experiencing discomfort when you move your jaw, or you hear clicking and popping when you chew, we want to help. If you're looking for dentures that look great and last, look no further than Richard G. Witter, D.D.S located in the Spokane, WA area. 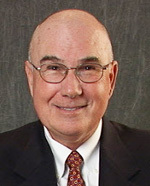 Richard Witter, D.D.S. will assess your needs and fit you with durable, comfortable, natural-looking dentures - at a price you can afford. Would you like your smile to be a bit brighter than it is right now? We can make it happen at Richard G. Witter, D.D.S, with professional tooth whitening for brighter natural looking teeth. Dr. Richard Witter's Spokane, WA area office can effectively lighten your stained or discolored tooth enamel. Whiter teeth not only look great, they improve your self-confidence. Richard G. Witter, D.D.S is a trusted Spokane area dental implants practice providing natural-looking, comfortable tooth replacement. We make it our mission to use a gentle touch during the process. If you want a gorgeous smile that turns heads, you may want to learn about the range of dental services offered at Richard G. Witter, D.D.S. Spokane area cosmetic dentist Dr. Richard Witter is dedicated to producing quality results and beautiful smiles.